On January 24th, "recognized authorities and experts across healthcare and biotechnology sectors" will come together to watch a nearly all male lineup weigh in on critical issues facing personalized medicine. The Personalized Medicine World Conference 2016 has over 100 speakers this year, and only 19 of those speakers are women. 18% women speakers has landed the Personalized Medicine World Conference in the GA Hall of Shame, and we're not the only ones who have noticed this incredibly imbalanced ratio. There's still time to make a change! 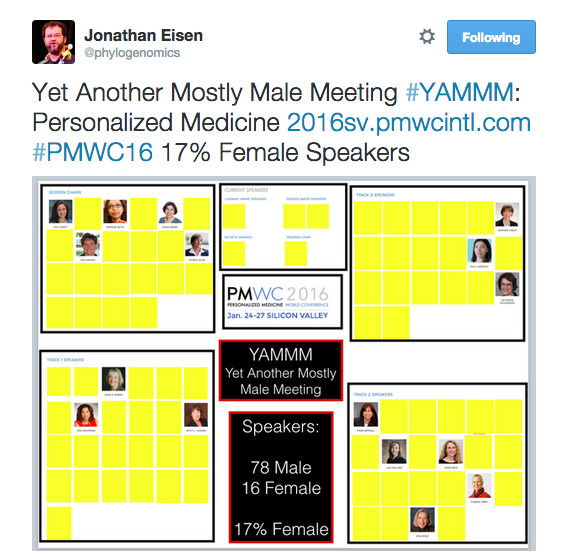 Organizers for Personalized Medicine World Conference 2016 have four months to add more women speakers. In four months, they could balance their gender ratio and move from Hall of Shame to Hall of Fame---but they need some encouragement. 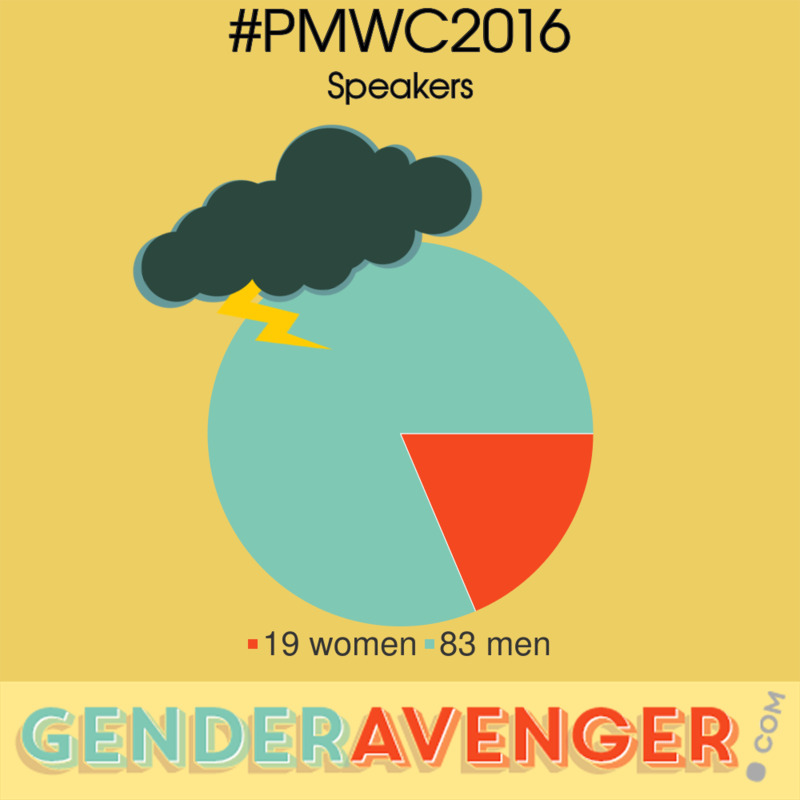 Use the share buttons below to tell @PMWCIntl to add women to their speaker lineup. #GoodRead | Dreamforce’s "Women's Innovation" panel was a "complete farce"